There's nothing to block the 360 views from this peaceful 40 acres of quiet country life. 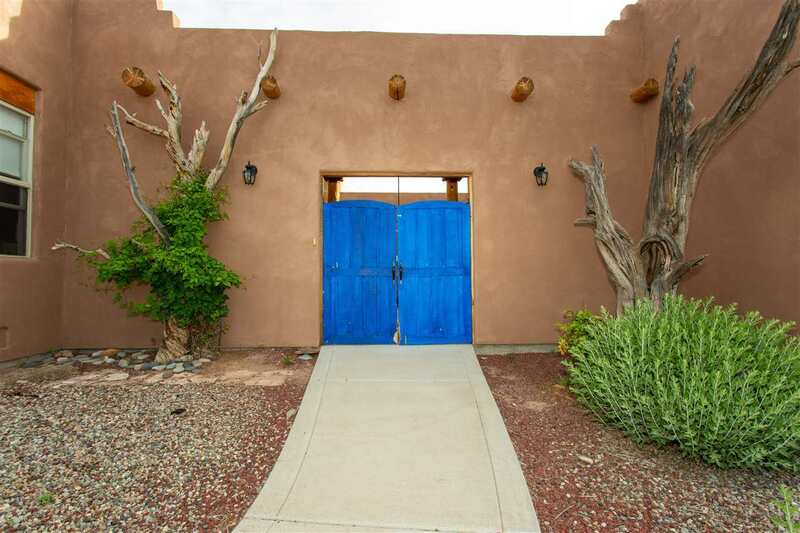 Vistas of Grand & Pinyon Mesas, glorious sunsets, Black Ridge, & the Flat Tops, are waiting for you to enjoy from this custom Santa Fe style home. Conveniently located in Glade Park, downtown Grand Junction or Fruita are easily reached with a 30 minute drive. The backyard is fenced for safety. Step through the blue gates into the completely enclosed courtyard, open to the sky for your own secret garden. Then into the Great Room, starting with the cozy but bright breakfast nook, ceiling rising in the spacious kitchen, then soaring even higher in the dining area & living room, with tongue-in-groove aspen ceiling over exposed viga roof beams. A thermostatically-controlled, efficient pellet stove keeps the entire Great Room cozy, backed up with 3 zoned baseboard heat.Enjoy large enclosed porch.